of Bronx Award in the Adult Education category by the Best Businesses of Bronx Award Program. category. The 2016 Best Businesses of Bronx Award Program focuses on quality, not quantity. of Bronx Award Program and data provided by third parties. programs to generate competitive advantages and long-term value. 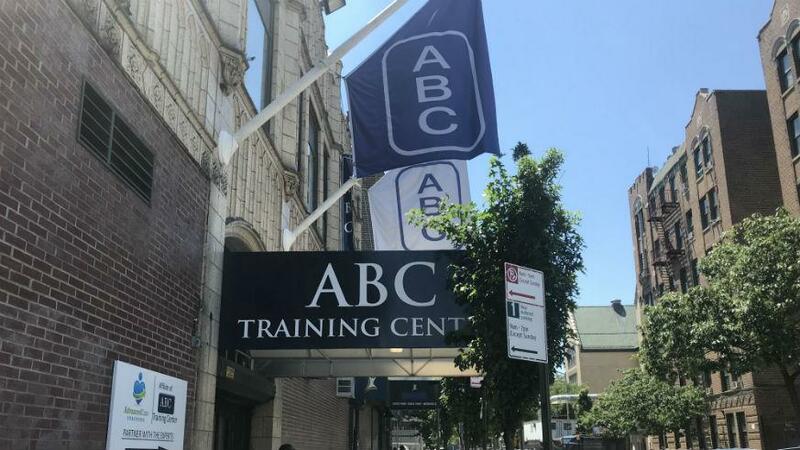 Check out ABC Training Center’s feature in Metro, discussing how over 50,000 of our graduates in the healthcare industry have successfully found job placement through our partnerships with hospitals, nursing homes, clinics and other medical facilities since 1972. 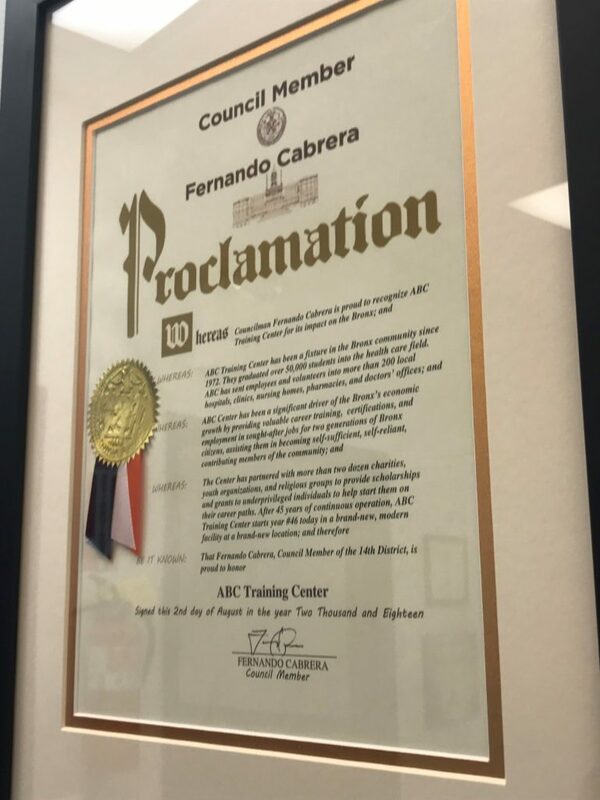 Deserving Caregivers Receive the Opportunity of a Lifetime – Thanks ABC CNA Training Center! Hi everyone, Patti here to share some exciting news with you! ABC CNA Training Center awarded their second CNA Scholarship for their June enrollment period. The myCNAjobs Scholarship Team is thrilled to welcome Terrell H. from Queens, NY and Audrey S. from New York, NY to our program. Terrell H. applied not too long before his outstanding application was noticed by our Scholarship Team. After speaking to Terrell and realizing his eagerness to change his life I knew we had to award him the scholarship. Terrell has always had an interest in the healthcare field. Ever since high school he has been taking caregiver courses that will ultimately lead him to his dream of being a registered nurse. Terrell is also a youth, health and wellbeing advocate in his community. Not only is healthcare a big part of his life but he is also very passionate about it. Hearing that he received this scholarship, Terrell was overjoyed and ready to finally have a place to begin his career in healthcare. Audrey S. impressed our Scholarship Team with her story. Audrey has had extensive training in the caregiver field, she took care of her mother for about five years during which she realized that caregiving was her calling. She learned how to administer shots and properly make her mother as comfortable as possible. She hopes to one day be able to make a difference in people’s lives along with bringing pride to ABC Training Center. Her ability to be patient and caring made her the perfect candidate for this scholarship. 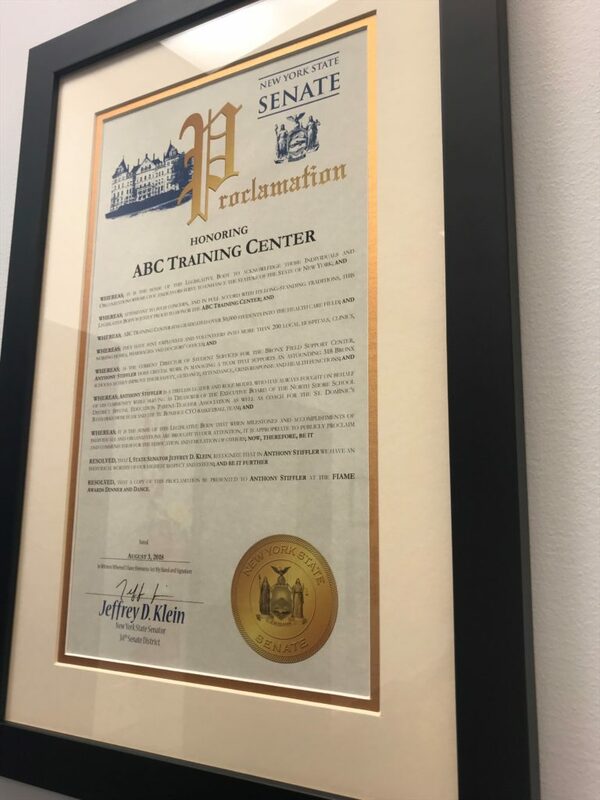 Audrey has expressed her gratitude for this opportunity to both ABC Training Center and MyCNAjobs. Both Terrell and Audrey will be starting the CNA training program on June 27th! The staff at ABC Training Center is very excited to have two more caregivers join their program. Our team here at myCNAjobs believes it is extremely rewarding to see such passionate individuals finally fulfilling their dreams and seeing them make an impact on the healthcare community. We cannot wait to see how many lives Terrell and Audrey can change and how great they will do in this program. Once they finish training we will also help them find a job. How exciting right? Stay tuned for more on Terrell’s and Audrey’s great stories and how classes are going for them! Check out other myCNAjobs Scholarship Stories! 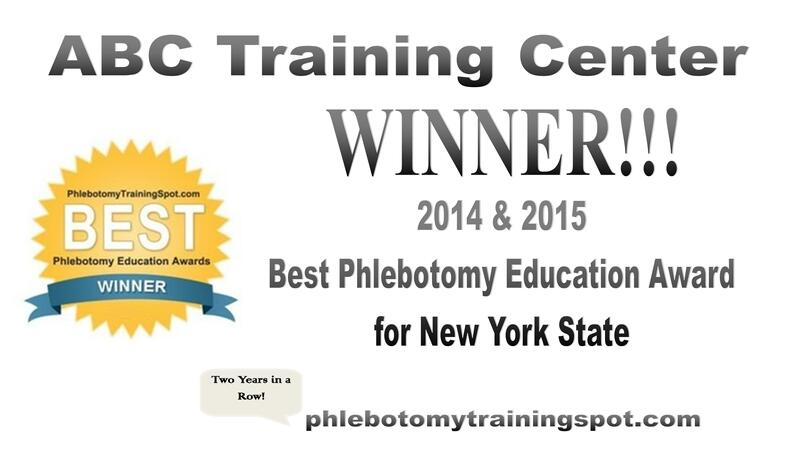 ABC Wins Best Phlebotomy Education Award for New York State Two Years in a Row!! 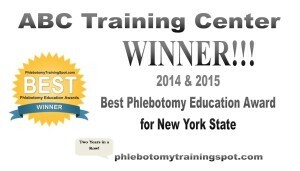 ABC Training Center’s phlebotomy program has been selected as the top phlebotomy program in the State of New York. 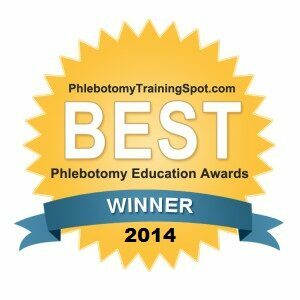 This prestigious designation is reflective of your school and it’s phlebotomy program’s dedication to providing excellence in education. Instructor David Herwitz on how to make a living as a bartender. 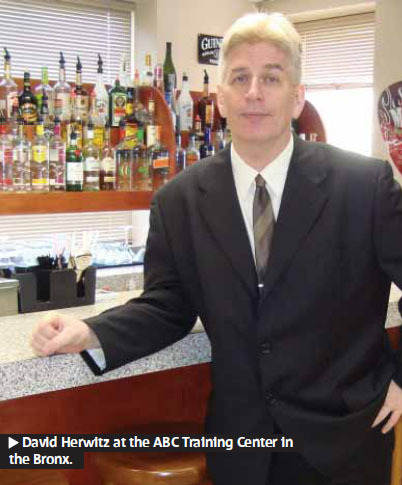 David Herwitz is one of the most popular, experienced and knowledgeable bartending instructors in New York City. For more than 20 years, he earned a living exclusively behind the bar, everywhere from local pubs to two-star restaurants. Today, he is the director of a bartender training program at ABC Training Center in the Bronx. Why is bartending a great skill to have? What should a student look for in a bartenders training program?